I’ve got some exciting news to share! Next week (May 8-15) I will be a media guest on a Fathom Travel cruise to the Dominican Republic, leaving from Miami and docking in Puerto Plata. Having launched its ship, the Adonia, in April 2016, Fathom Travel currently offers separate round-trip voyages from Miami to the Dominican Republic and Cuba. Belonging to the Carnival brand, Fathom takes a different approach to ocean voyaging with a “travel with purpose” mission. While each destination differs on this aspect, passengers will either become involved in immersive cultural experiences or participate in various community projects. Building projects involving the installation of water filtration systems and concrete flooring in community homes. While impact travel is central to Fathom’s mission, cruise excursion options also extend to tours of certain areas and popular activities such as ziplining or snorkeling. As for their Cuba cruises, Fathom broke serious ground in making history as the first cruise to sail from the U.S. to Cuba (setting off on May 1) in 50-plus years. That’s big! On my Fathom cruise to the Dominican Republic, I will be posting as continuously as I can through Twitter, Instagram, and Facebook. And putting a trip recap on here too. So please do follow along! 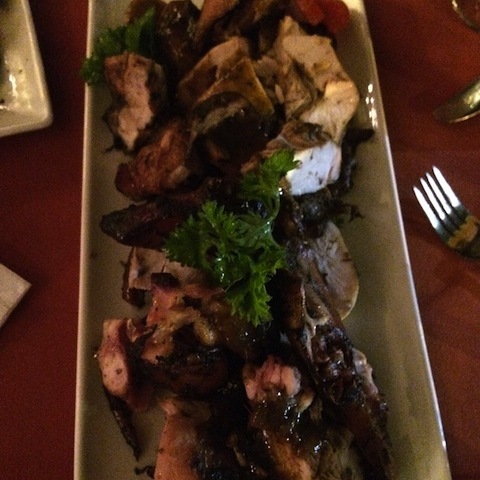 This entry was posted in Adventure, Air Travel, Caribbean, Dominican Republic, Personal Interests, Voluntourism and tagged Dominican Republic, Fathom cruises, Fathom cruises Dominican Republic, social impact travel, Voluntourism on May 1, 2016 by She Is Going Places. In getting back to my experience with Jamaica Tourism’s “Bucket List” trip, my first two days in Jamaica were spent in Kingston, its capital city. Kingston is surrounded by mountain ranges like the Blue Mountains and a long natural harbor. Kingston is also the center of the country’s culture and commerce. 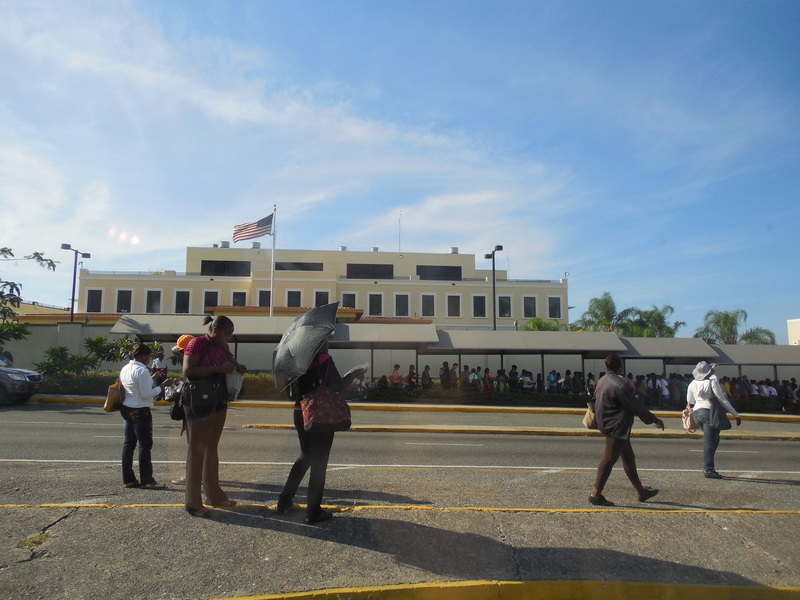 Like many cities worldwide, Kingston has its public attractions, shops and nightlife yet there are good parts for visiting and other parts where it might be best avoided. Mainly two sections of Kingston get a lot of attention: its Downtown area and its Uptown (or also known as New Kingston) area. Each area has its own significance. In Downtown, you’ll find historic buildings, marketplaces, shops, galleries, and the waterfront. Uptown (where I spent my time) is more cosmopolitan with public parks, nightlife, restaurants, shopping centers, and main tourist attractions. 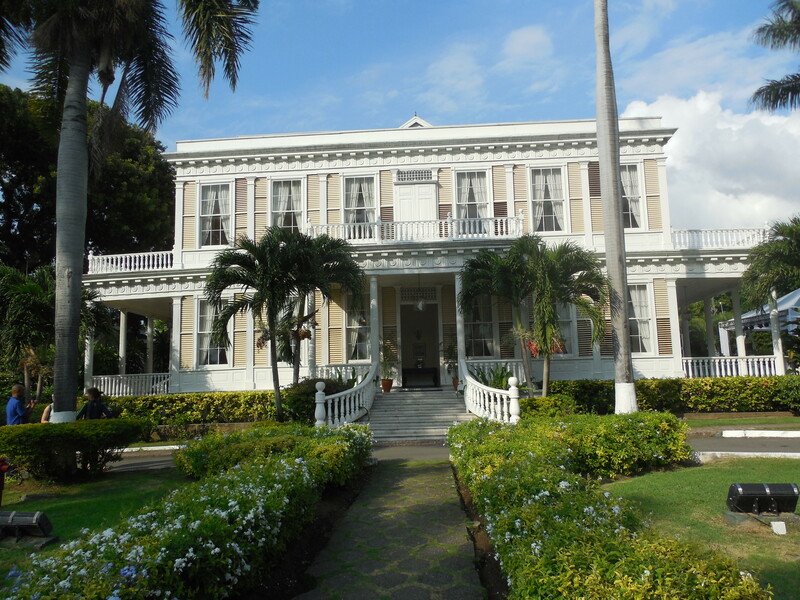 – The Devon House: In Uptown, this beautiful Georgian-style mansion and national monument was the home of Jamaica’s first black millionaire George Steibel. Also on the property, former horse stables and blacksmith posts now either hold a bakery, restaurant, or shop. 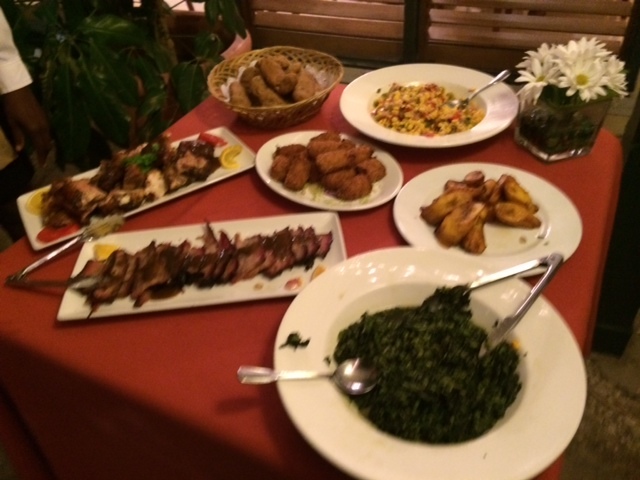 At the Grogge Shoppe, you can order a sit-down meal of local Jamaican fare. Even more so, the Devon House I Scream is an awesome ice cream shop with traditional and fruity flavors. 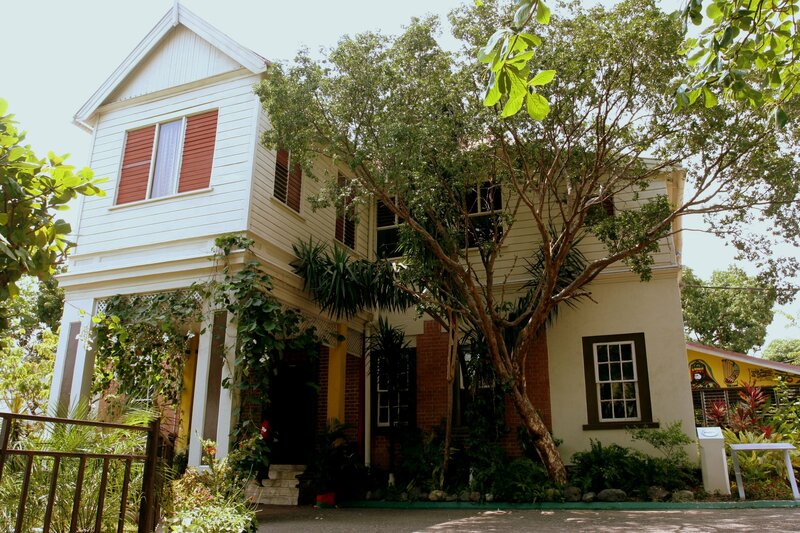 – The Bob Marley Museum. Unfortunately, the museum also in Uptown was closed for renovations when my group was there – we missed the reopening date by a few days – but it sounds like a good tourist attraction. Especially for reggae fans, you get to see Marley’s home up until his passing that’s now been turned into musical shine. 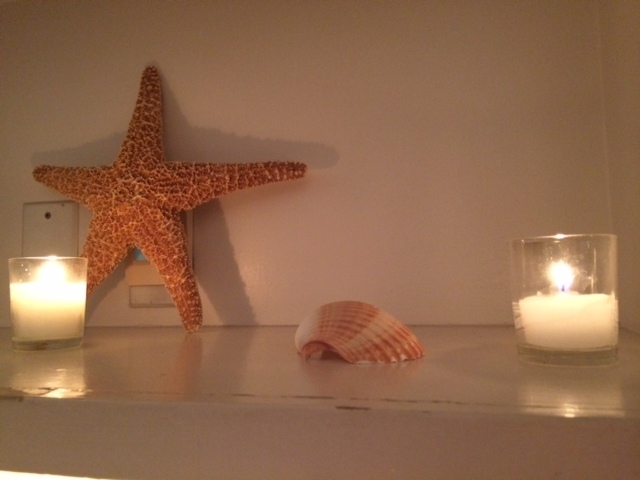 See the musician’s awards, recording studio, and other personal belongings. 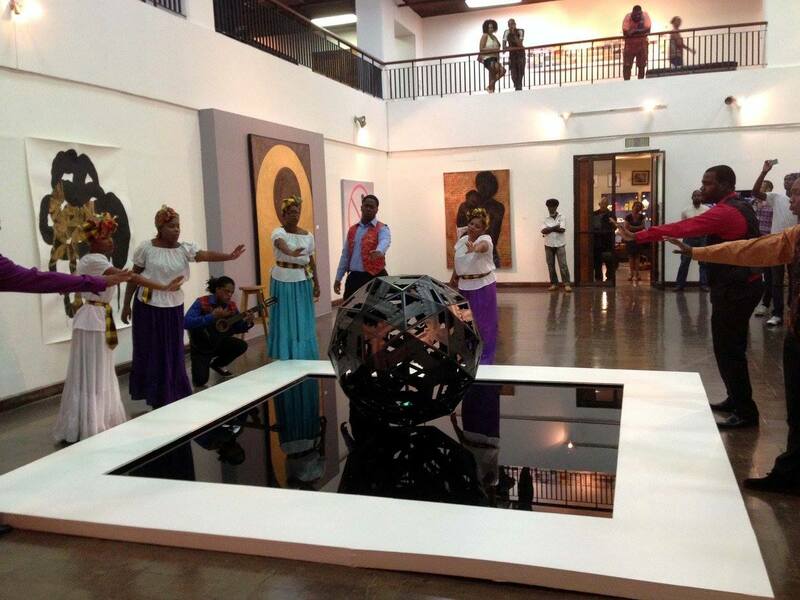 – National Gallery of Jamaica. I keep reading good reviews about this Downtown gallery, which features artwork by Jamaicans from throughout the country’s history, from the native Taino Indians through the colonial period to works by modern artists. – Port Royal. Based at the mouth of Kingston Harbor, Port Royal was once a pirate’s haven in the 17th century, and in turn made this city pretty prosperous. Maybe too much, as the British navy ended up installing Fort Charles here. But Port Royal has seen hardship too, resulting from two major earthquakes, fires and hurricanes so much that a lot of the area was swept away. 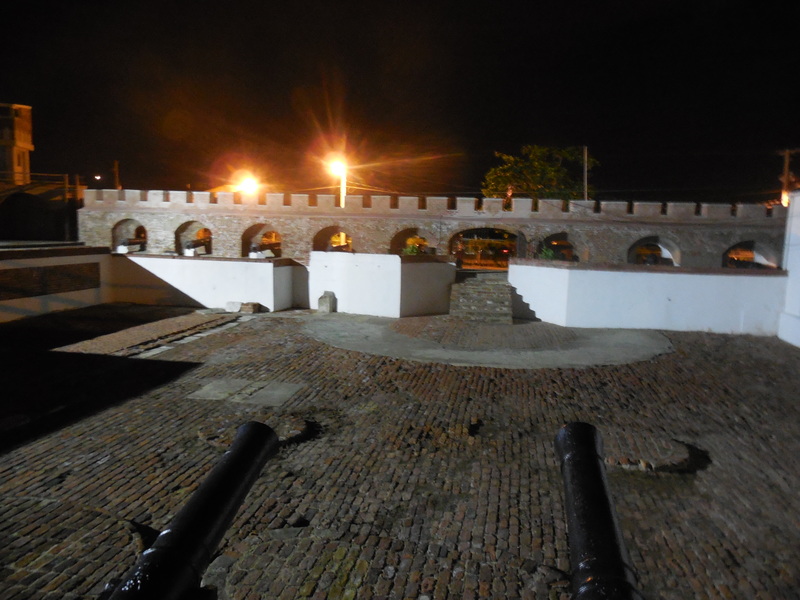 Fort Charles still stands, and visitors can walk through its lower and upper levels. Also head to the back of the fort to see, and attempt to walk through, a former artillery shed called the Giddy House. An earthquake in 1907 sunk part of the abandoned shed so when you walk through it, it’s literally like performing a balancing act. For getting around Kingston, my group was lucky to have a local driver take us to and from places. If you are to rent a car and drive around yourself, it’s best to take an offensive stance. Traffic can get interesting as it often involves a mix of cars and pedestrians – sometimes together. I would recommend hiring a driver from a reputable company. This can help with not just getting from point A to point B, but someone who knows the area well can help in making more of our schedule. From what I’ve read there are cabs available in Kingston too. They have a Red number plate with the letters PPV inscribed as their authorization to pick up passengers. Buses are also available, newer ones with A/C and older ones at different prices. Just do your research before you go! This entry was posted in Caribbean, Historic Places, Jamaica and tagged downtown kingston jamaica, uptown kingston jamaica, visiting Kingston Jamaica, what to see in kingston jamaica, wherre to go in Kingston Jamaica on March 17, 2015 by She Is Going Places. 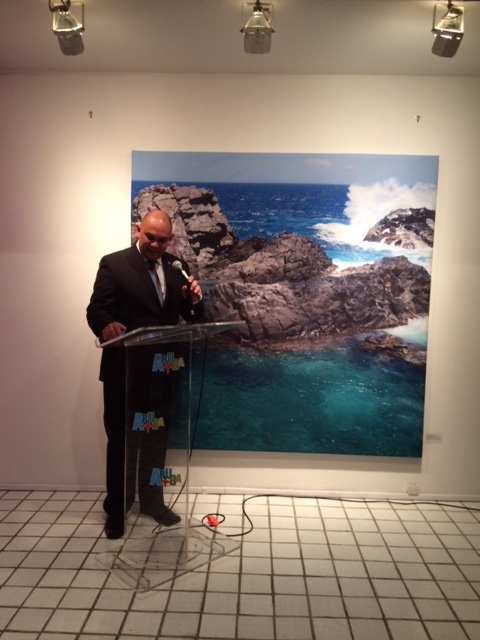 Aruba’s Minister of Tourism Otmar Oduber gave a welcoming address at a reception last Thursday night. 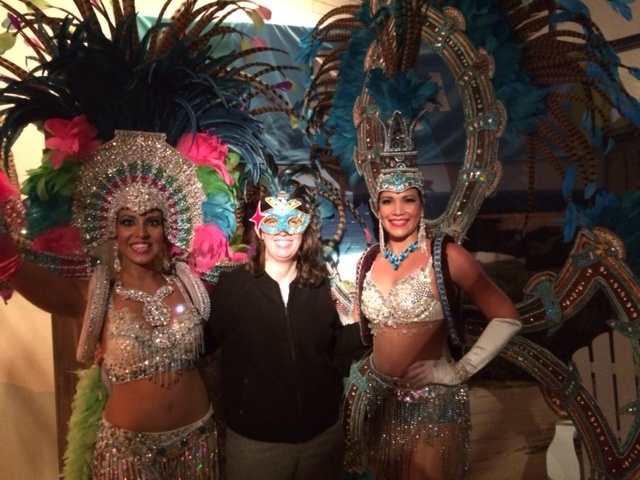 On a cold and rainy New York City night, Aruba Tourism Authority provided a mini-getaway to a warm and friendly climate with their evening reception at the Carriage House last Thursday. 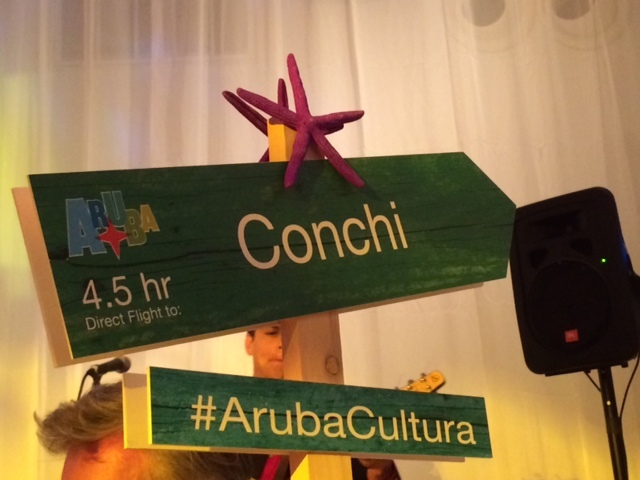 Having an #ArubaCultura theme, the evening featured a very special guest, Aruba’s Minister of Tourism Otmar Oduber, and introduced attendees to the culinary and cultural aspects of this Caribbean island. Currently, the tourism board is using the tagline “One Happy Island” (also as a hashtag, #onehappyisland) to promote Aruba as a still largely popular destination. 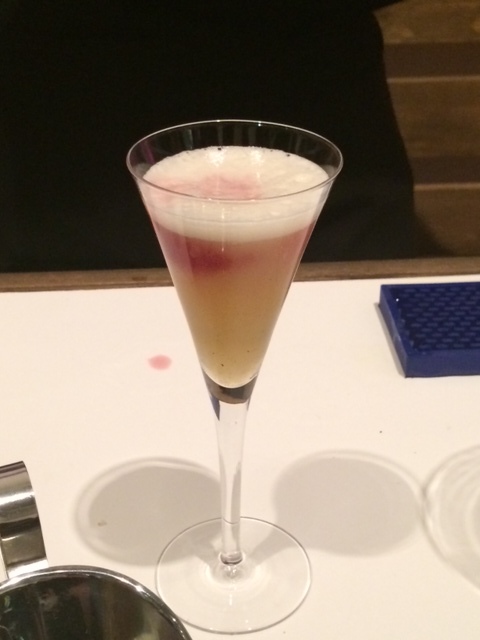 I enjoyed an Eagle Beach Bellini. 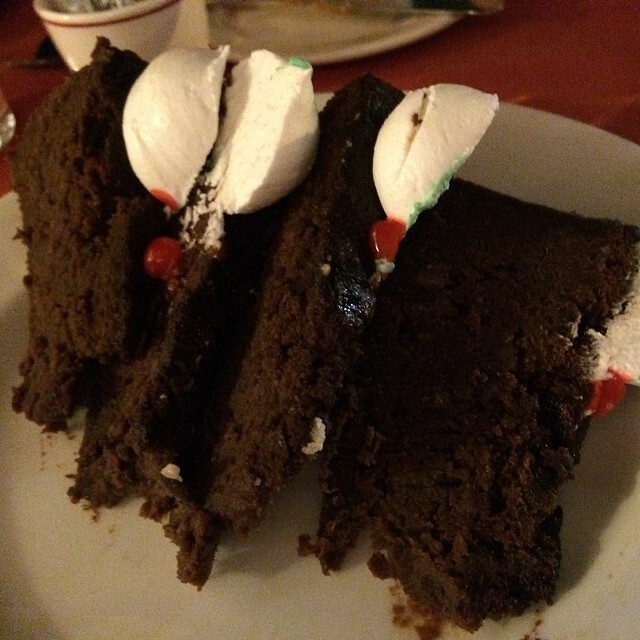 It was good fit with our festive night. 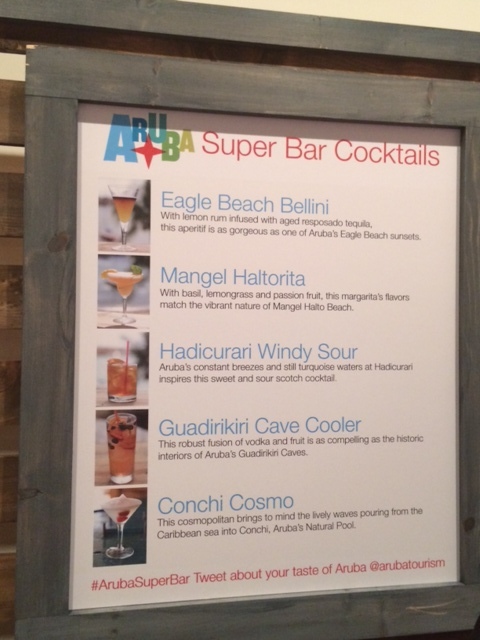 As a different take on being a barista, a special mixologist from Aruba concocted specialty drinks highlighting the island’s tropical flavors and ingredients. 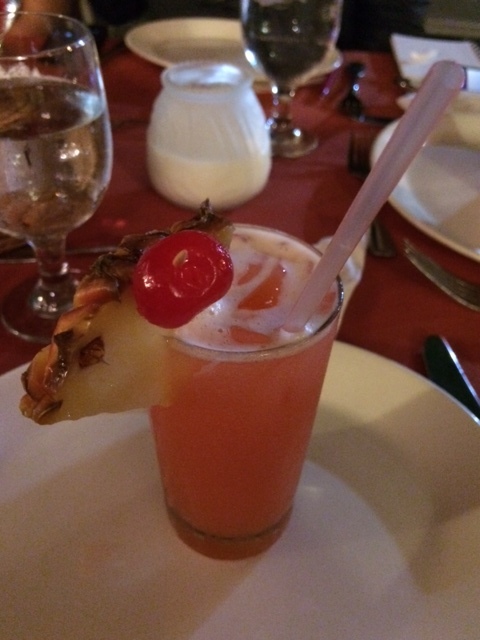 These cocktails were named for beaches and other key attractions. The evening also got a little artistic. 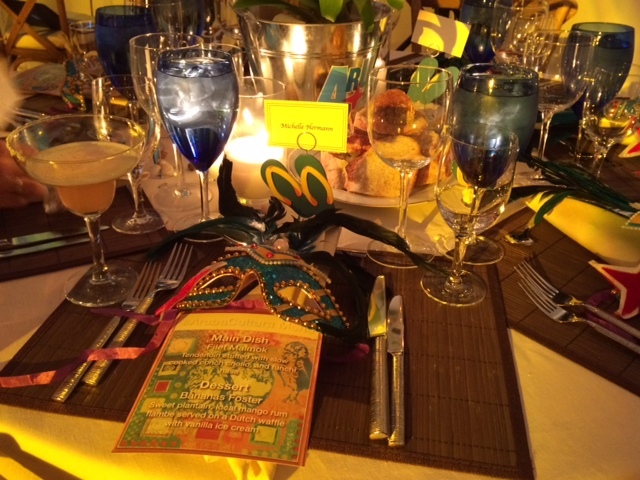 Guests were asked to sit for a painting session led by an artist, also from Aruba. 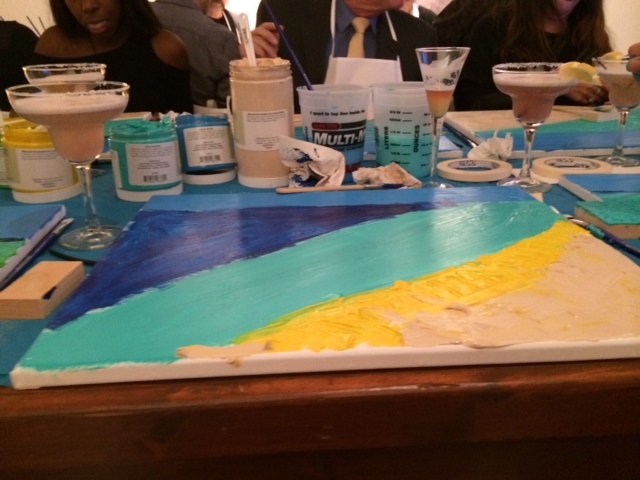 Literally starting from a blank canvas, painters like myself were encouraged to recreate the island’s landscape by using an assortment of yellow, blue, beige, and green hues. 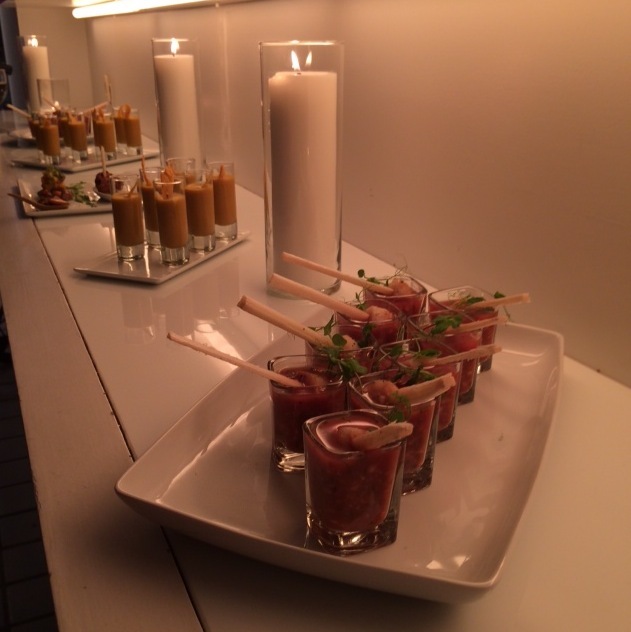 We even were able to top off our masterpieces with sand by gently sprinkling a few grains on our finished work. Although I went with what I would call an abstract approach toward my painting, it was still a fun thing to do. My sort of island painting. 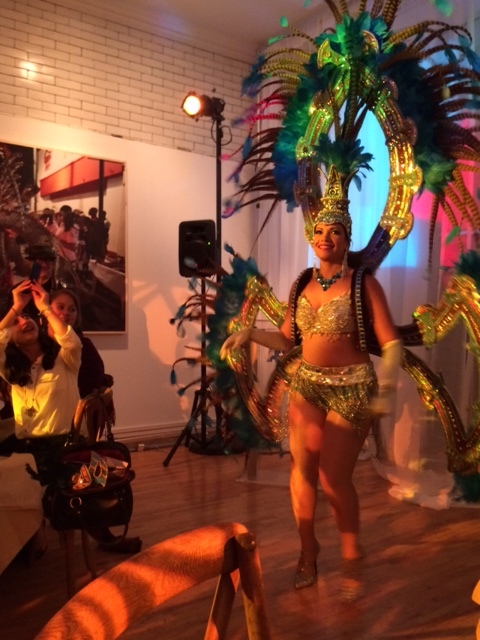 Our evening ended with a sit-down dinner and entertainment that got us all up and dancing! 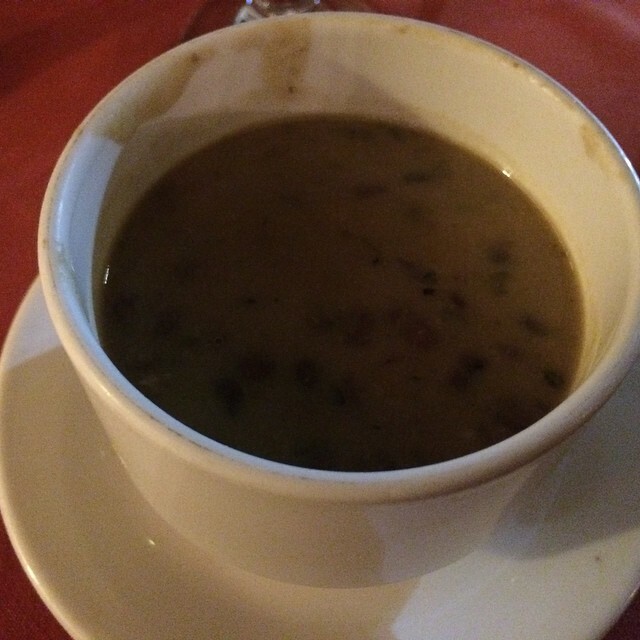 This entry was posted in Aruba, Caribbean and tagged Aruba, Aruba tourism, Aruba Tourism Authority, One Happy Island on November 16, 2014 by She Is Going Places.